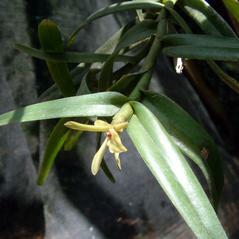 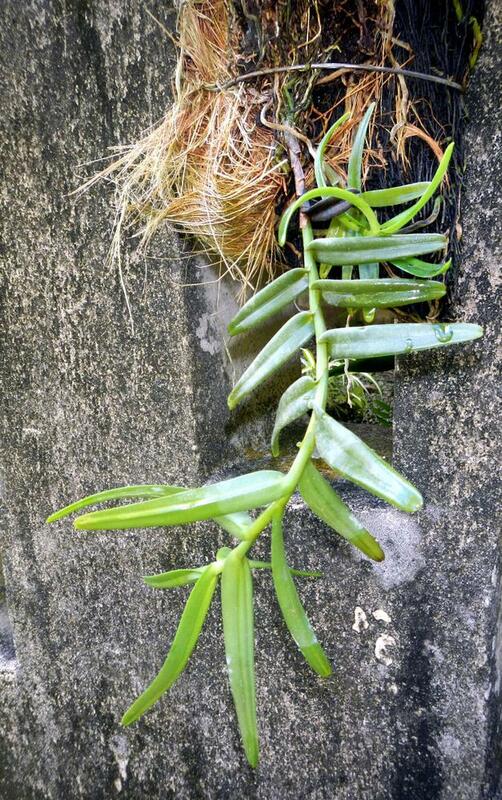 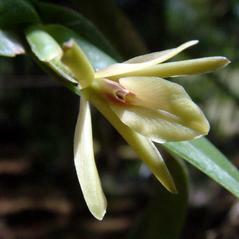 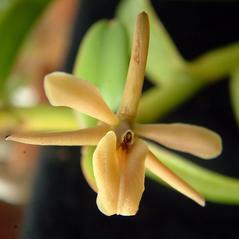 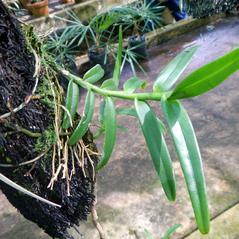 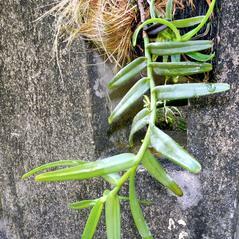 Epidendrum acunae, commonly known as Acuna's Star Orchid, is distributed in the West Indies, Mexico, Central America. 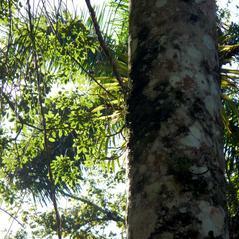 In Florida, it is known only from a single location within the Fakahatchee Swamp in Collier County. 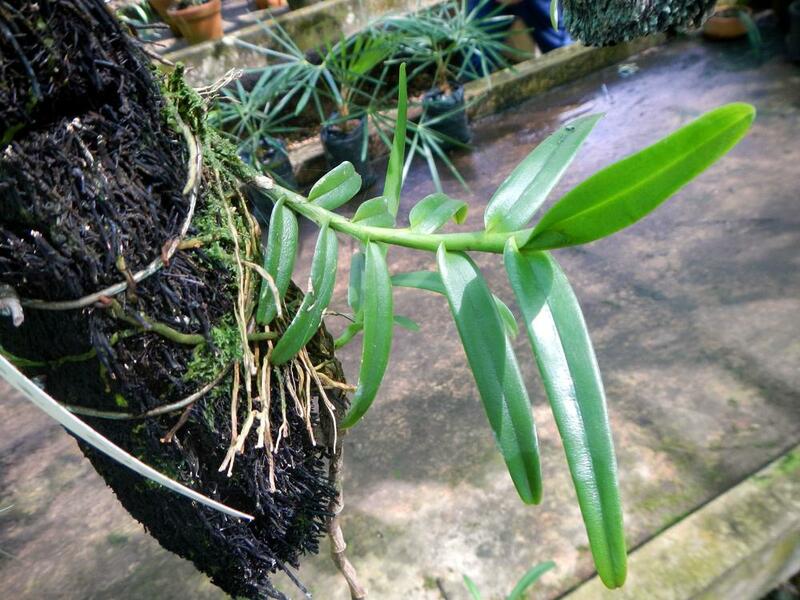 This orchid has a very distinctive pendant habit and trailing, branching stems which makes it easy to identify even when it is not in flower. 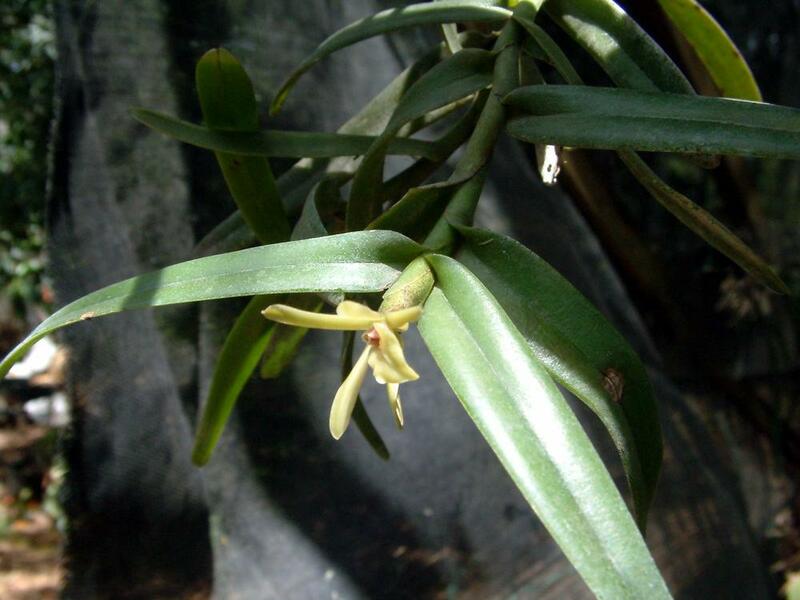 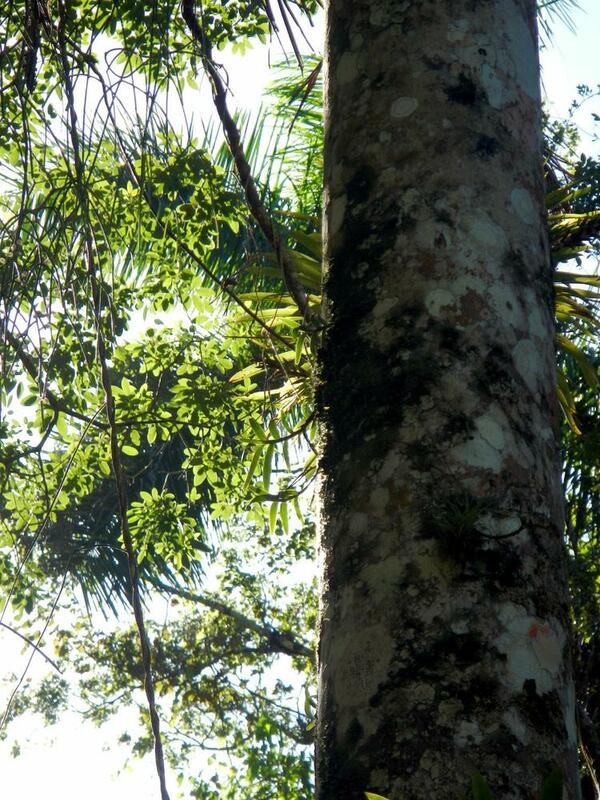 The stem produces branches with 2-6 alternate leaves and 1-3 brownish-green flowers at the tip of each branch. 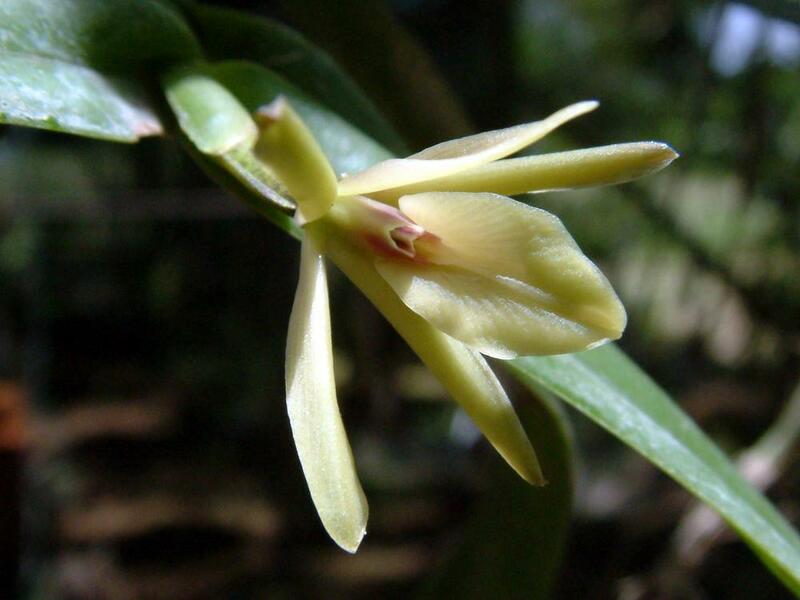 It can be found growing on the trunks of larger trees, such as pop ash and pond apple trees, in dense wooded swamps and sloughs. 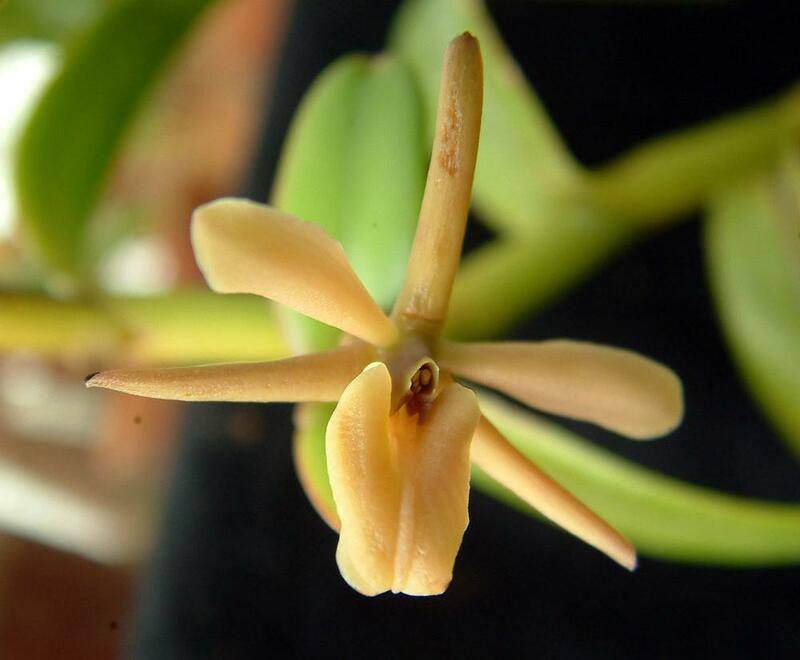 Epidendrum acunae is endangered in Florida and may be extirpated there, although this orchid is apparently secure across its range where it is reported to be widespread but uncommon.